Stylish engraved pocket watch is a fantastic gift for a groomsmanbest man or even the Father of the Bride. 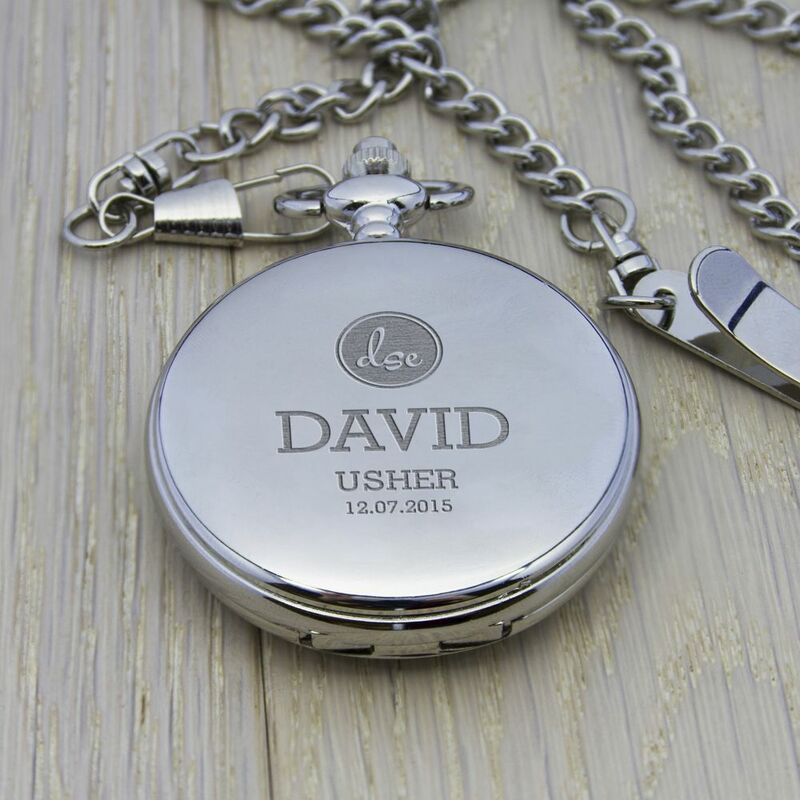 The watch is silver in colour and comes with a long chain and pocket clip measuring 44cm in length. The watch face has the classic Roman numerals adding to the timelessness of this gift. 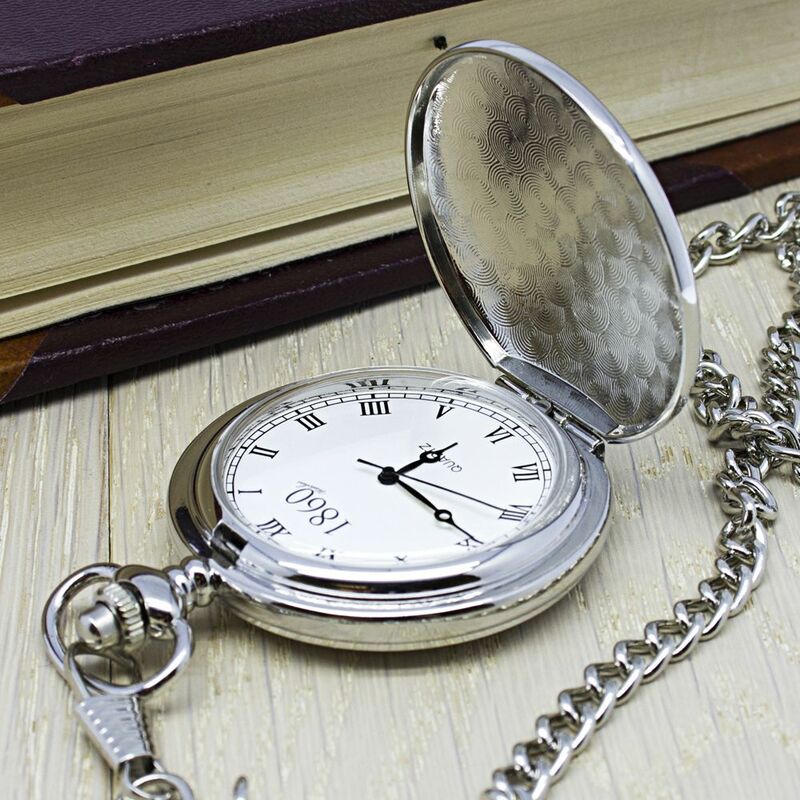 The pocket watch once engraved comes packaged in a smart gift box and can be gift wrapped. You are able to personalise this watch with a nameinitialsdate and a title.